Produce flour from wheat kernels, winnow, and separate the chaff from the grain. Collect the grain into a hand-driven wheat mill and grind it into flour. 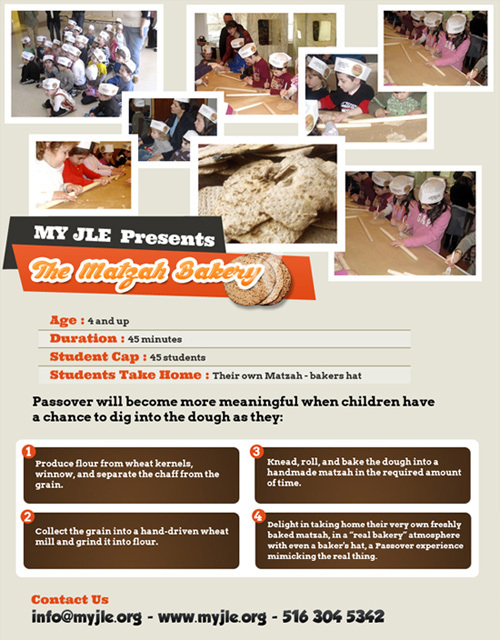 Knead, roll, and bake the dough into a handmade matzah in the required amount of time. 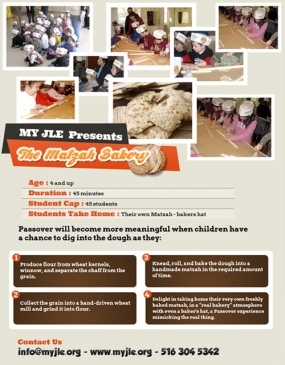 Delight in taking home their very own freshly baked matzah, in a “real bakery” atmosphere with even a baker's hat, a Passover experience mimicking the real thing.